Former foreign minister Julie Bishop has described the moment she confronted Russian President Vladimir Putin over the MH17 disaster on behalf of Tony Abbott. Ms Bishop, during a speaking engagement at the University of New South Wales, was asked to explain how she approached the foreign leader in 2014, after a Russian missile shot down the Malaysia Airlines plane, killing nearly 300 people, including 38 Australians. At the time, Russia had been heavily criticised for resisting to cooperate with investigations into the crash, and then-prime minister Mr Abbott had threatened to “shirtfront” Mr Putin at the upcoming G20 summit in Brisbane. 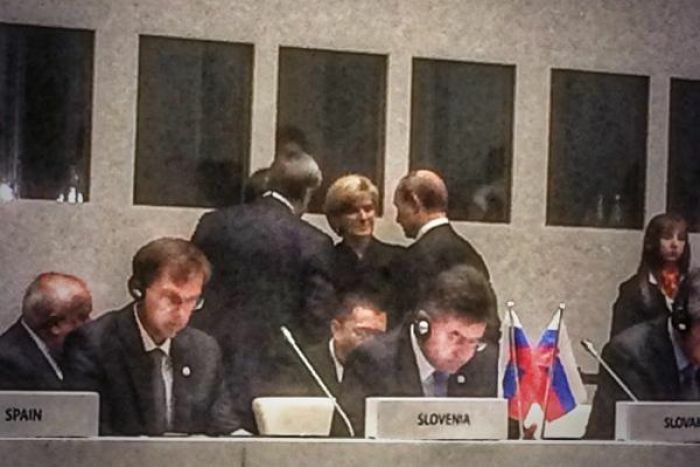 But before the leaders met at G20, Ms Bishop, then foreign minister, attended a summit of European and Asian leaders in Italy and took the opportunity to approach Mr Putin. “I was sitting opposite President Putin. He hadn’t agreed to a bilateral meeting with me, nor did I expect it because I’m a foreign minister and I wasn’t his counterpart,” she explained. Ms Bishop then described the moment she noticed Mr Putin’s advisers had left him, and she decided to seize the opportunity to talk to him. “He was alone at the table. So I hot-footed around the other side and tapped him on the shoulder,” she said. Ms Bishop said the Russian President asked her to move away from the table — packed with microphones — before they commenced a robust conversation in English. “I delivered Australia’s message to him as forcefully as I could,” she recalled. “His eyes never left my face, and they are piercing blue eyes. Ms Bishop said at that point, Mr Putin’s advisers returned to squirrel him away from the conversation, and he immediately reverted to speaking Russian. At the time of the summit, Ms Bishop described the talk as “cooperative” and noted that Mr Putin had agreed to allow investigators further access to the crash site. 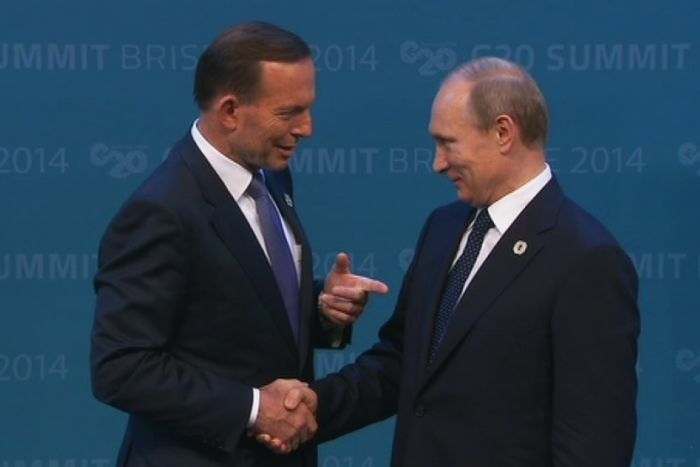 Mr Abbott did go on to speak with the Russian leader at the G20 summit, by which point the suggested “shirtfront” had transformed into a “very robust discussion” instead. Inside the heated battle over Juul: Creating teen addicts or saving lives?